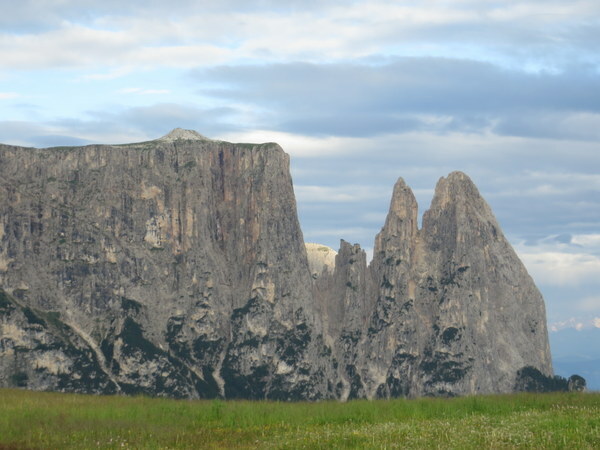 While Rome weather has been moderate this month (the warmest day so far in July was 30C/86F), it’s still nice to leave the humidity and the noise of the city for our annual trek to the Dolomites. We seldom get photos of us together. 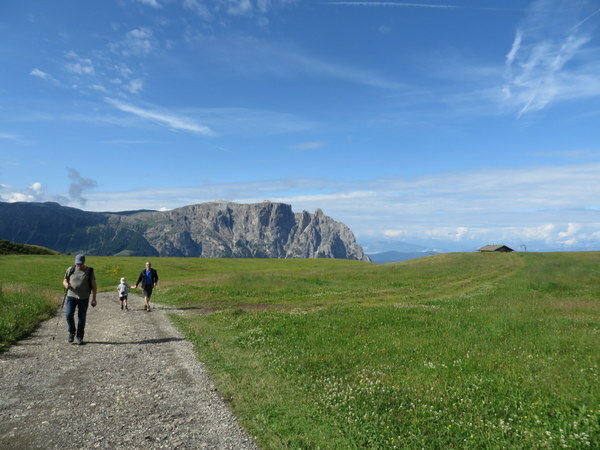 Here we enjoy 14C/57F sun at Bullaccia – great hiking weather! This is the first full week of annual leave we have taken all year. As you know, we have made several trips, but they have all been long weekends. The last time we took a full week off was September of last year when Derek visited. It’s about time we disconnected from work and Rome! Nephew and niece John and Susan arrived Saturday from Seattle with William and Elizabeth. 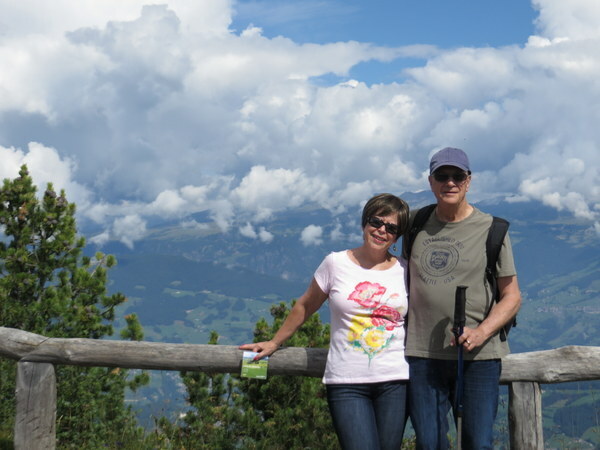 We have been planning for their visit — and Susan has been planning this European trek — for almost a year. 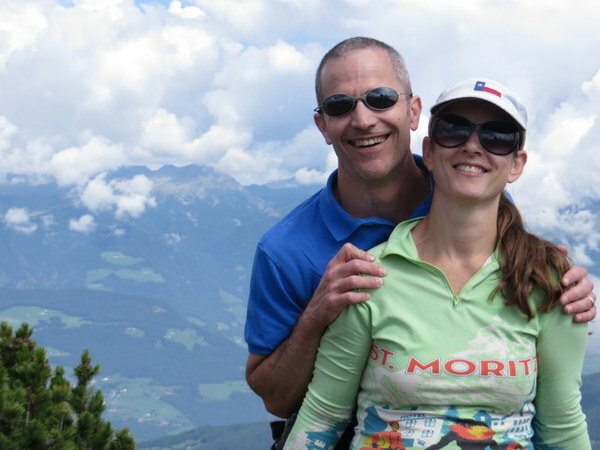 We barely gave them time to get off the plane because Sunday we set off for one of our favorite spots in Italy, the Alpe di Siusi. The Sciliar and Punta Santner in early morning light. Elizabeth and William enjoy the hotel playground with a fabulous backdrop. View from the Panorama Chair Lift, Alpe di Siusi. Ric, William and John along the trail to the Panche delle streghe (Witches’ benches). Susan and Elizabeth share a moment on the trail. 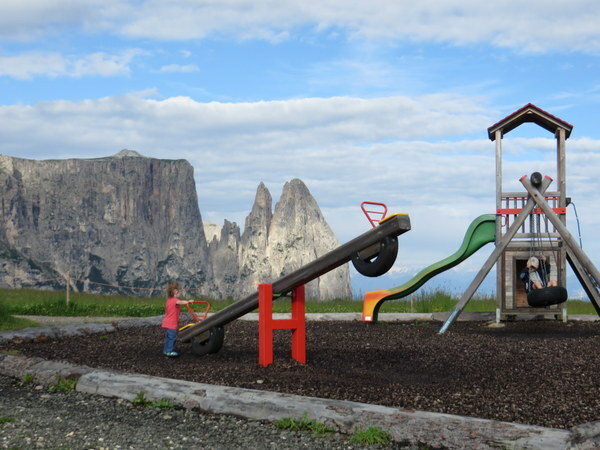 The background is the far side of the Val Gardena as seen from Bullaccia. 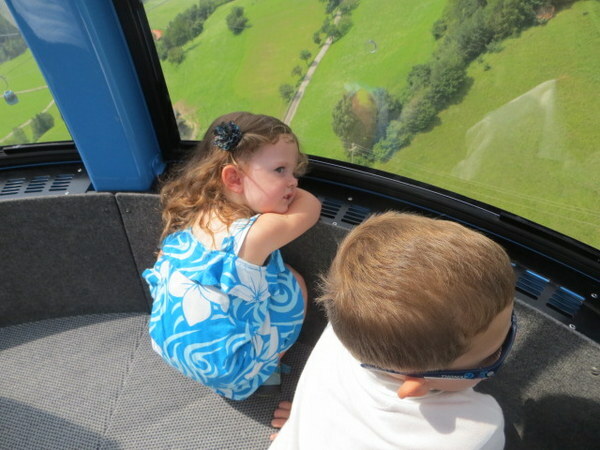 E & W take in the view from the Cabinovia, our gondola ride to the Alpe. We certainly need to get to this area one day. Thank you for sharing. Anytime you need trip-planning help, just holler! A perfect place for a week of vacation. Keep the picture post cards coming! Thanks Carolyn! Maybe next year TWO weeks. See today’s post for more postcards. Thanks Laurel. 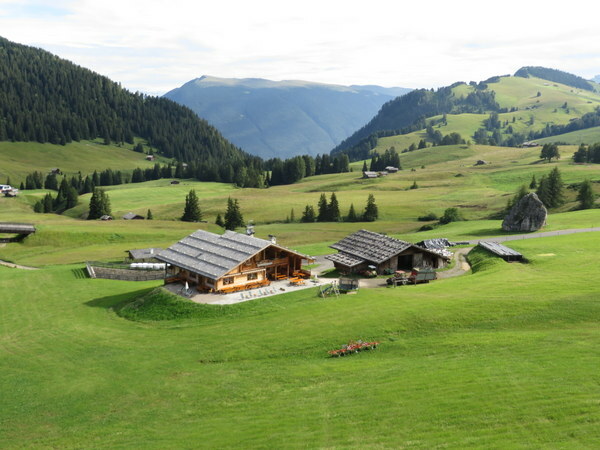 As part of a Rick Steves group 12 years ago, we spent two nights in a lodge on Alpe di Siusi. We could see the Scilia and Punta Santer from the lodge … beautiful! 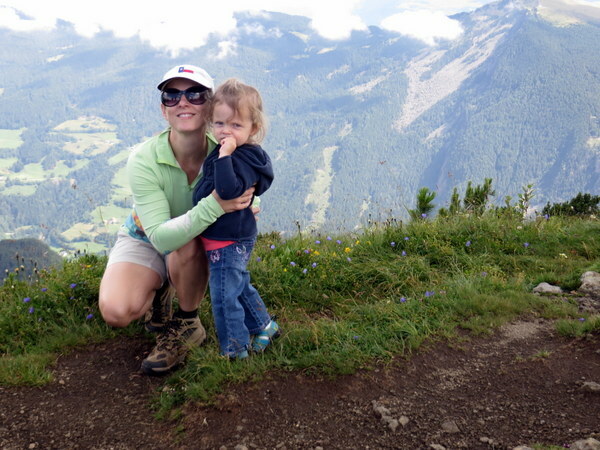 We joined a hike in the morning up into the mountains when it was sunny and warm. Within 4 hours the weather completely changed … clouds, cold, snow. We hiked back to the hotel through accumulating snow … I’ll never forget spending the late afternoon in the lodge drinking a glass of wine and watching the snow fall on the surrounding mountains. What a memory, Will! We had thunder and lightening today, but no snow. Weather is so dramatic in the mountains! We are at Alpenhotel Panorama, by the way. It is lovely! Just delightful, Laurel. It is one of the most beautiful places on earth, and I am so glad you keep returning – and sending these post cards! Count on it Gayle! More to come this week. I think my ideal year would be 8 months in Rome and 4 in the Val Gardena (June-Sept), Un abbraccio!